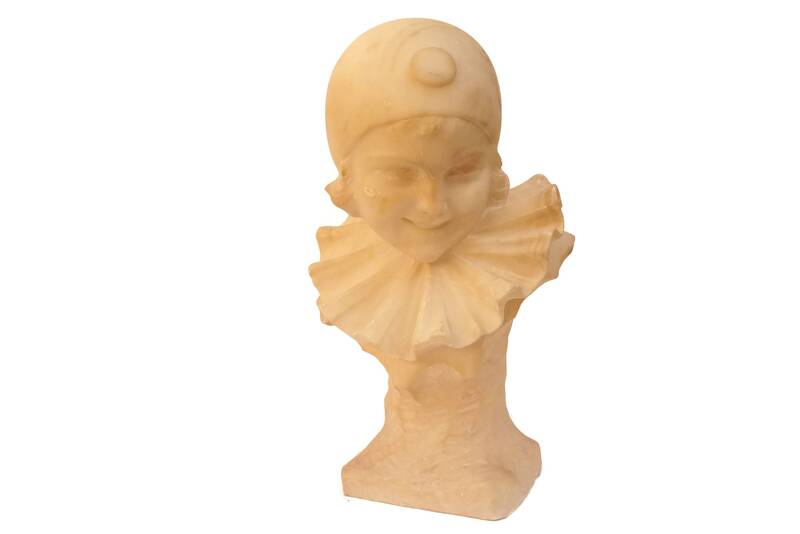 A beautiful antique carved stone bust of Columbine by the Italian artist and sculptor Guerrieri. 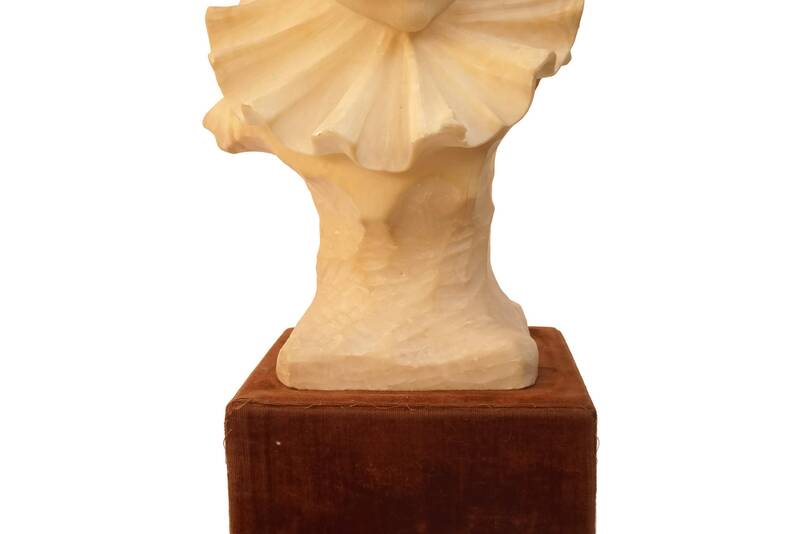 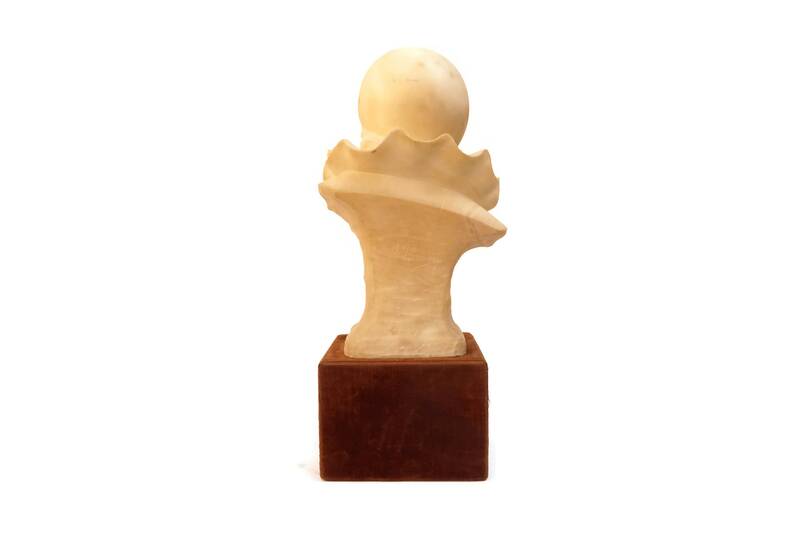 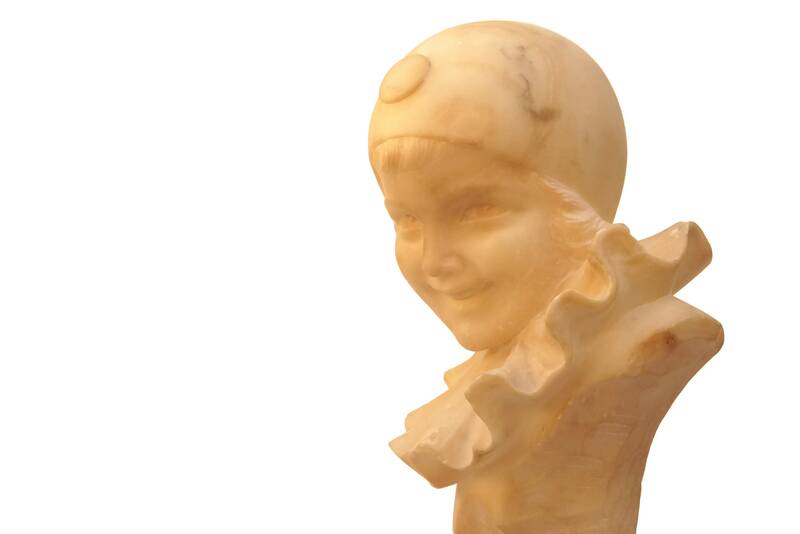 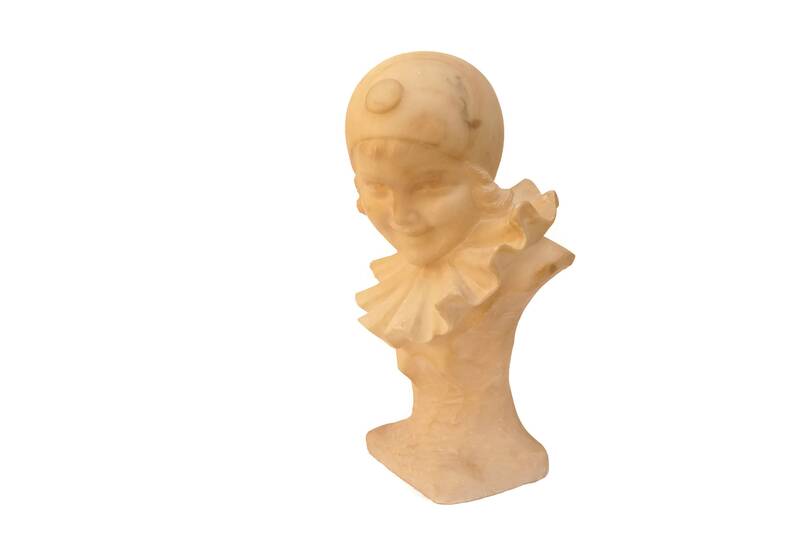 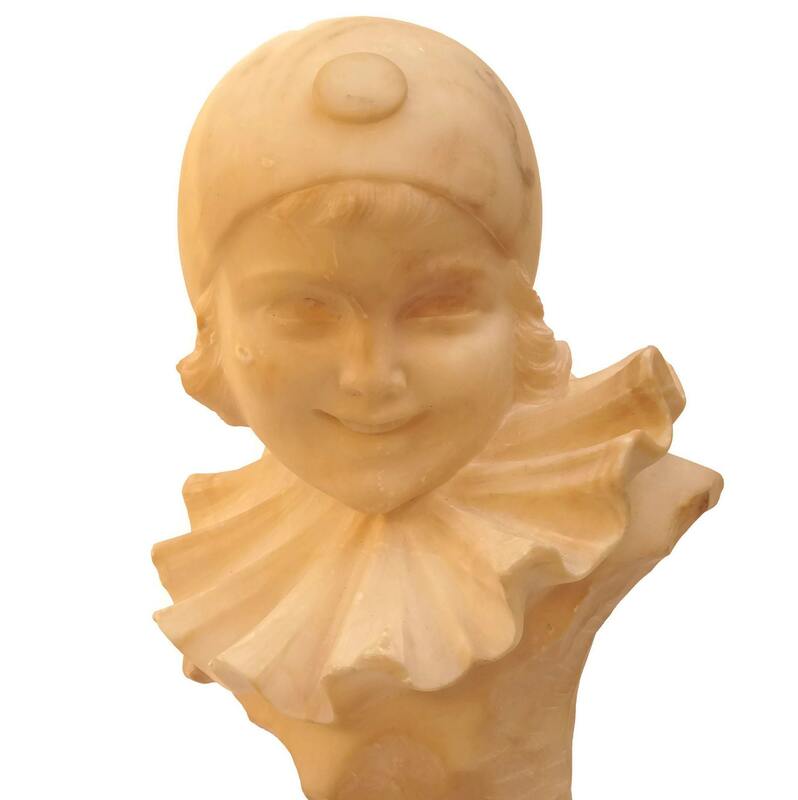 Dating from the early 1900's it has been carved from alabaster and portrays a charming girl figure dressed with ruffled collar and Pierrot cap. 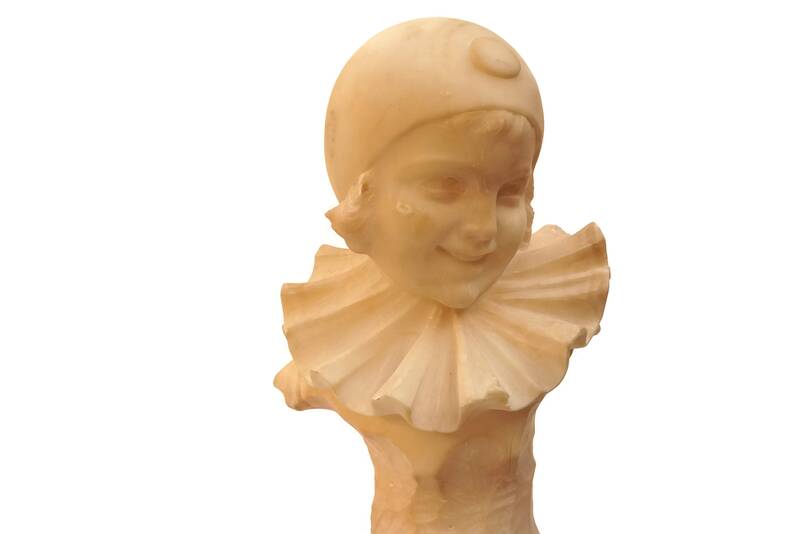 The head statue features fine details and has a charming expression. 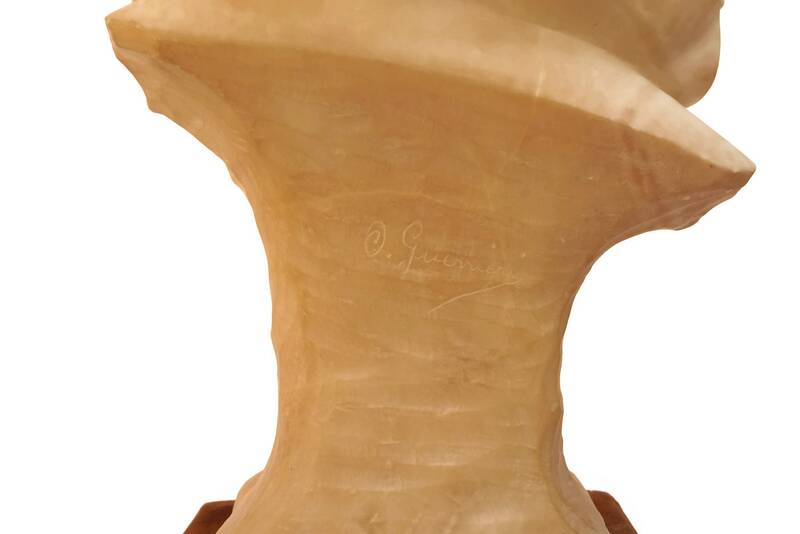 It has been signed on the reverse side O. Guerrieri. 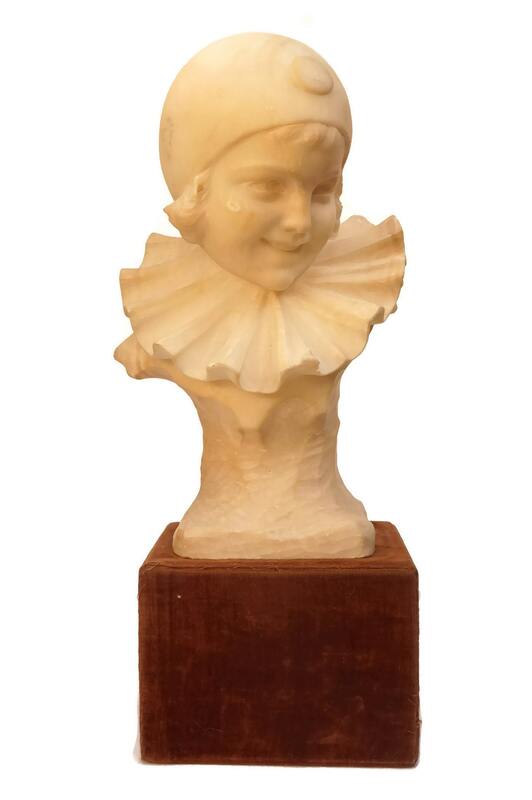 (28 cm x 15 cm x 10 cm). 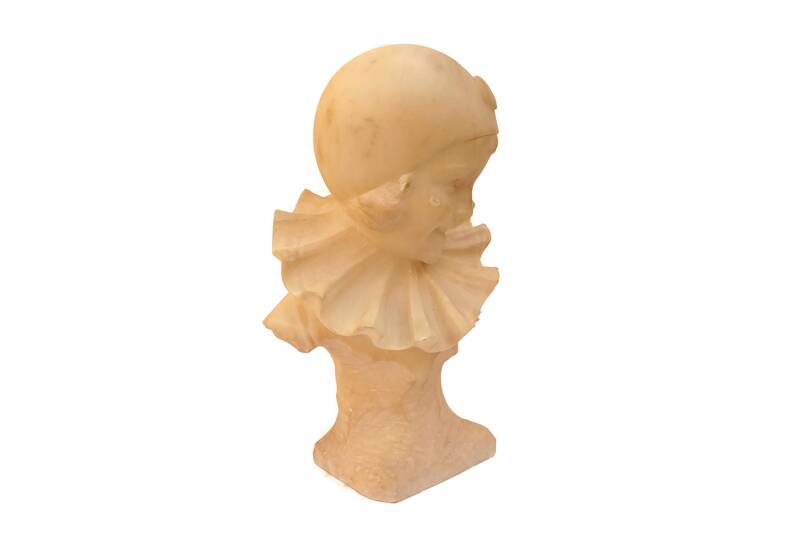 The antique carved stone bust is in very good condition with some signs of age including small knocks and flakes to the stone in places.